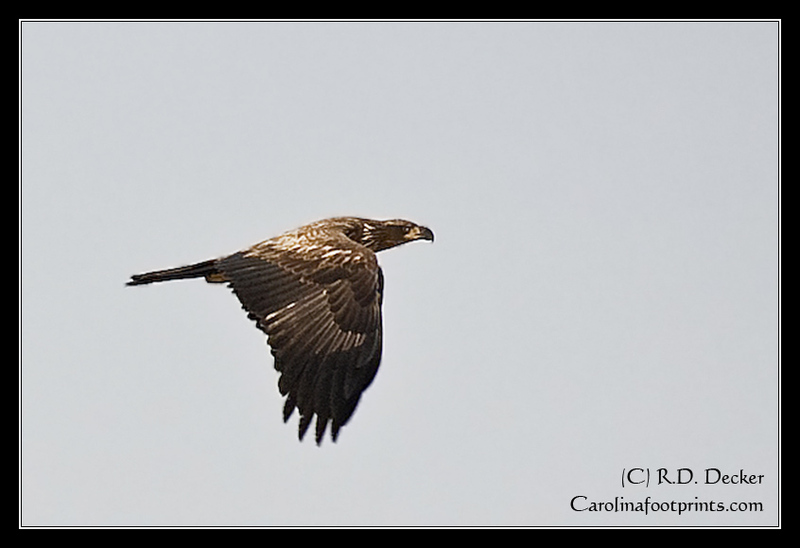 This entry was posted in Wildlife Photography and tagged Bald Eagle, Lake Mattamuskeet, North Carolina, Photography, Raptors. I saw a Bald Eagle today in the wild, the 1st time ever, what an awesome sight !!!! I think it ight have been a male, due to the size. I am from England living in Bladen county, I never thought I would see something like this. 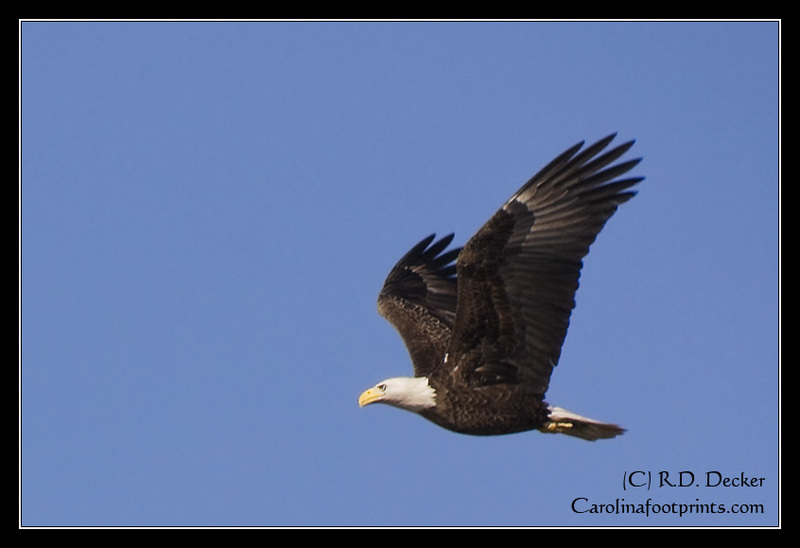 I seen a bald eagle in Harnett County, N.C. off of Over Hills Rd. It was definately a femal due to her size. She was perched in the top of a tall dead oak tree, easy to spot because her head looked like a giant snow ball in the top of the tree. I watched her for about 20 minutes before she flew away, what a site to behold. I have seen many bald eagles in Alaska. This is the first one I have ever seen in N.C. The first Bald Eagle I’ve seen since I moved here from Florida 6 1/2 years ago. It was so awesome I almost cried! By the way, I live in Rowan Co. I was riding on Hwy 13 outside Newton Grove NC on 2-10-13 and spotted an unusually large bird. Turned out to be just like the picture of the Bald Eagle on this site. I saw a bald eagle this morning in rural Halifax County, taking off from a dead deer in the misty rain. White head, white tail, huge wingspan, so I am pretty sure it was one! (I think female, because it was huge in compare to our typical vultures, etc., but I noticed the white first instead of the size.